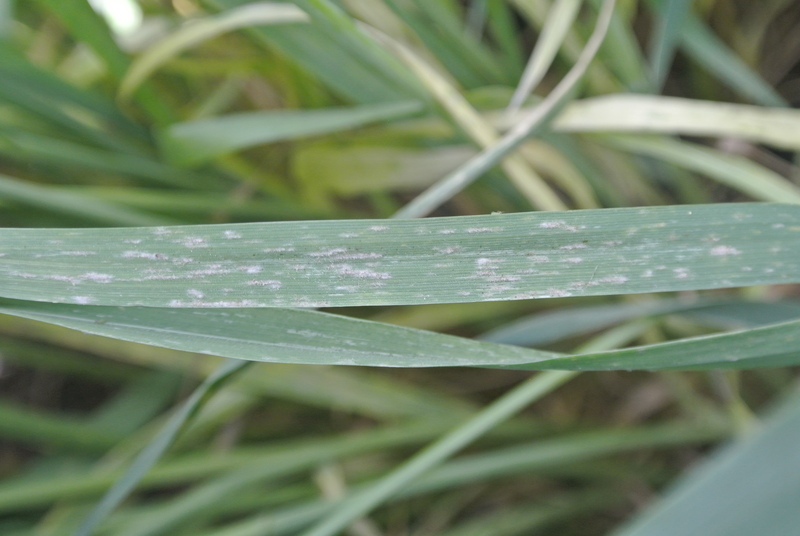 Powdery mildew severity is strongly influenced by weather. 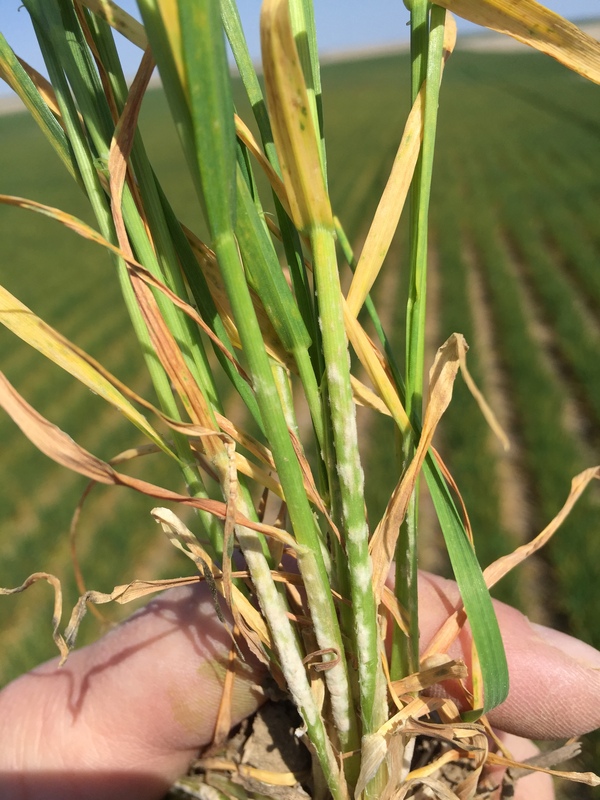 Mild winters favor early and severe mildew development in winter wheat areas. 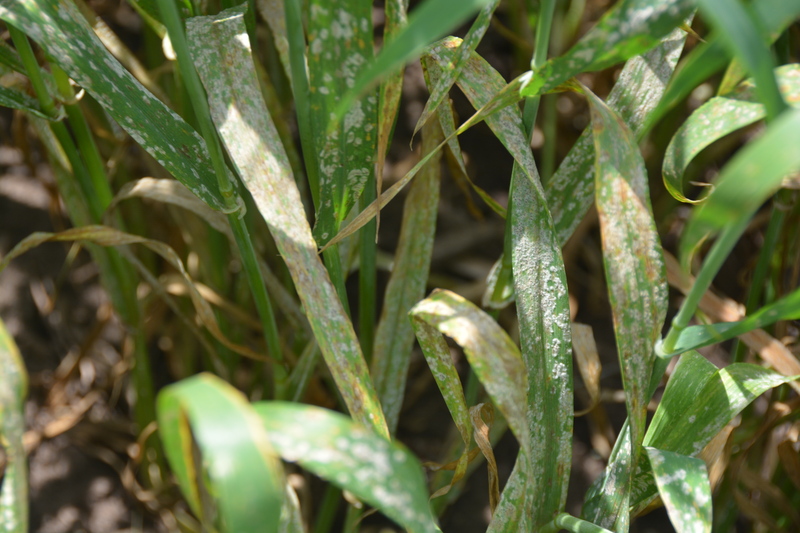 Cool, humid, dry conditions favor infection, while prolonged periods of cool, humid weather in spring can allow the disease to reach the flag leaf and cause yield losses. Excess nitrogen, high plant populations, or other conditions that encourage heavy tillering can increase disease severity. Lighter, sandier soils are more conducive to disease. Many varieties have complete or partial resistance to powdery mildew. 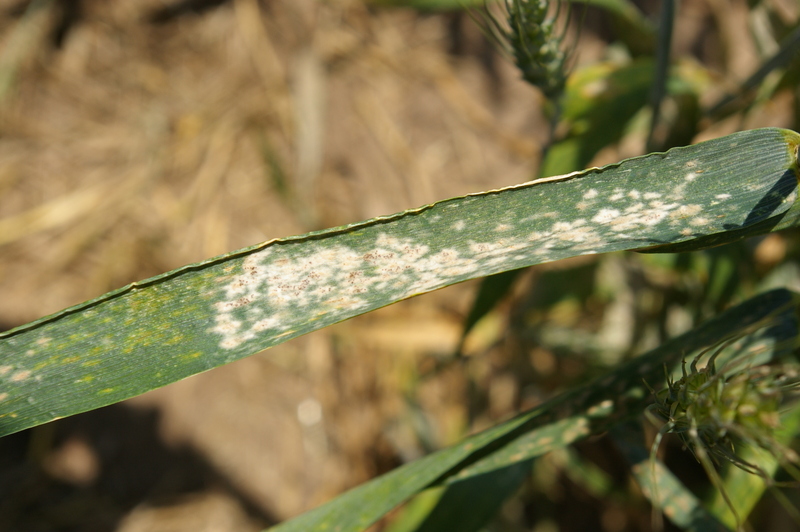 By itself, even partial resistance is often enough to manage powdery mildew. In areas prone to severe epidemics, selecting resistant varieties is of primary importance. Several fungicides are labeled for the management of powdery mildew. The decision to apply a fungicide is influenced by varietal susceptibility, forecasted weather, and yield potential. Resistant or moderately resistant varieties will not require a fungicide. 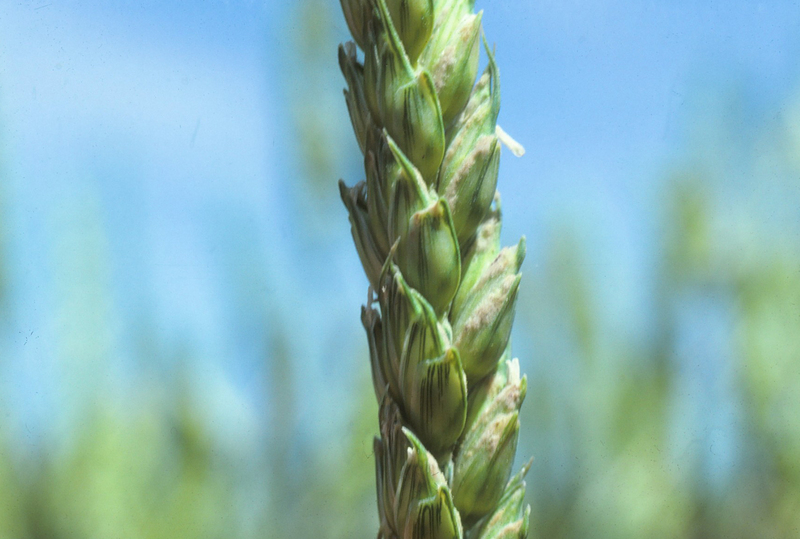 Fungicide should be applied soon after the disease appears. Triazole-containing fungicides are most effective because they have some systemic activity. Practices that encourage thick stands and high yields encourage mildew development; follow fertility recommendations and avoid over-fertilization. Gallery images: J. Marshall, A. Friskop, M. Burrows, E. Byamukama, and C. Grau. 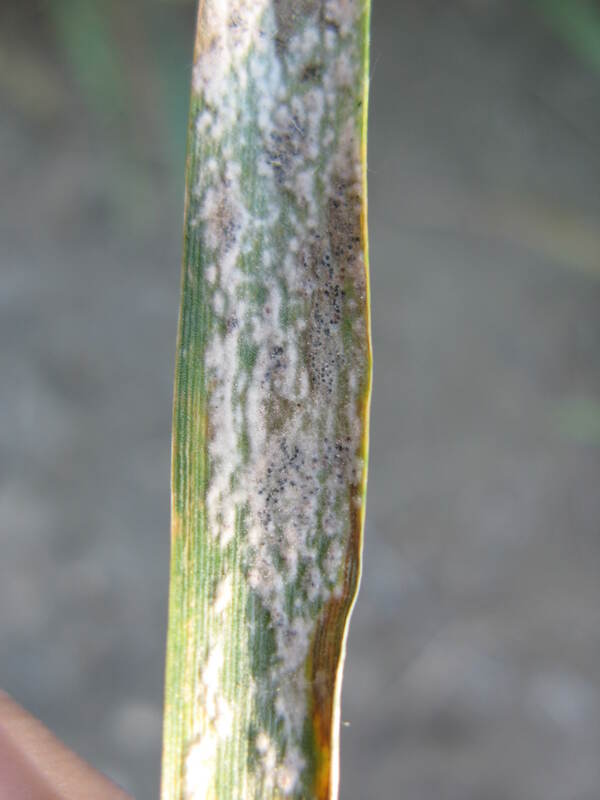 Powdery mildew is a common wherever winter wheat is grown in the US and Canada. Small, dark fungal fruiting bodies can form within fluffy growth with advanced disease. 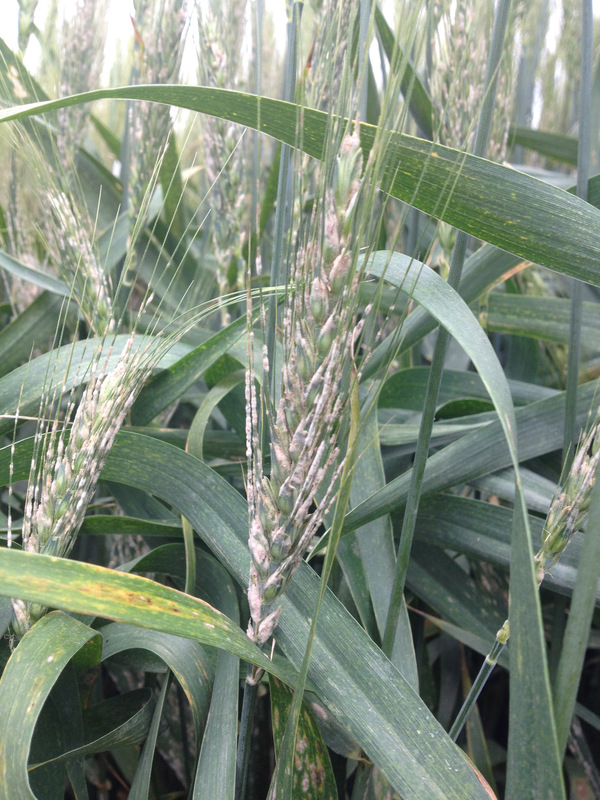 Powdery mildew on wheat head. 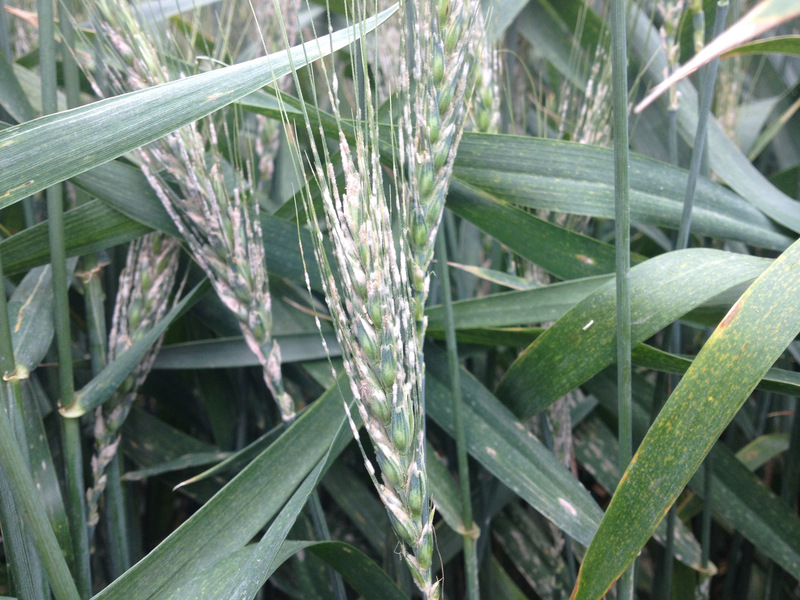 Foliar powdery mildew signs on wheat leaf. 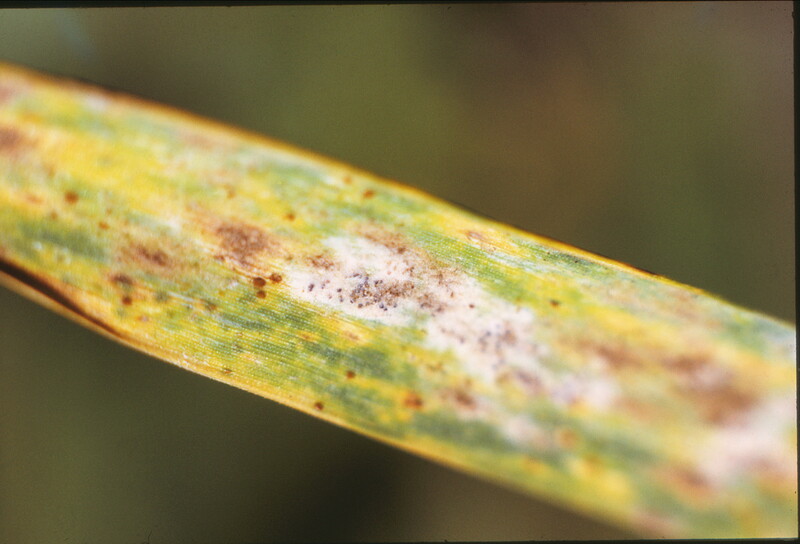 Fluffy, white to gray fungal growth on the top of leaves is characteristic of powdery mildew. Signs are generally most prevalent on lower leaves. In susceptible varieties, stems and heads may also have mildew.